This collaboration with colorist Linh Phan of BESCENE channels a modernized take inspired by psychedelic 60’s and 70’s style through big hair and bright colors. 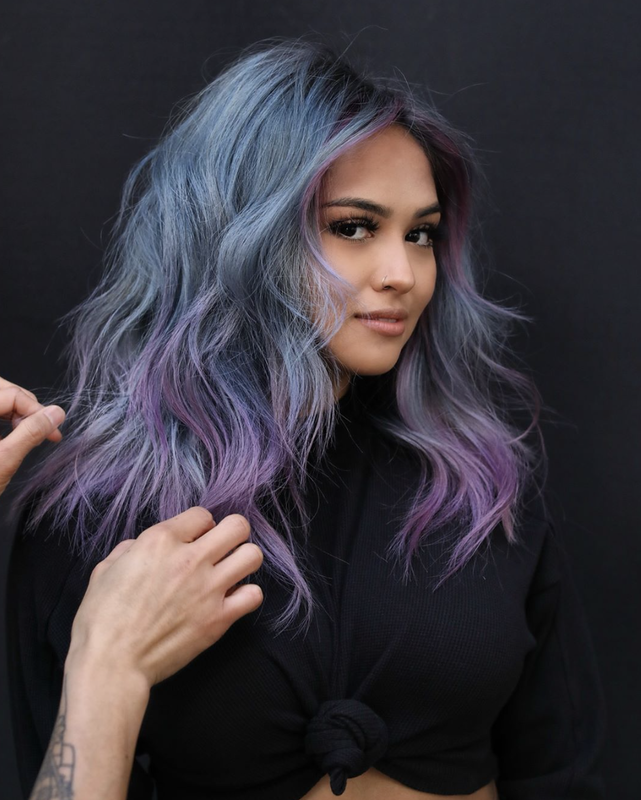 Phan’s ombre teal and purple hues seamlessly blend with the model’s natural root and incorporate bright pops in face framing strands for dimension. Anh styled the model with big, bouncy curls by prepping the hair with L’Oreal Professionnel 10-in-1 and Mythic Oil for protection and shine, as well as Spiral Queen to hold the curl. The hair was then blow dried with the head flipped upside down using the Dyson Supersonic and curled in alternating directions using a large barrelled iron from Hot Tools. He finished off the look by applying DePolish to twist the ends of the curls for pronounced detail and a generous spray of Infinum3 for flexible hold.